The Big 5 Makuleke Contractual Park measures some 26 500 hectares and is well known for its abundant wildlife including less common species not evident in the southern and central regions of the park. Apart from large herds of elephant and buffalo, guests will be able to see Nyala, an antelope which is not easily found in the more southern regions of the park, and over 350 recorded bird species. 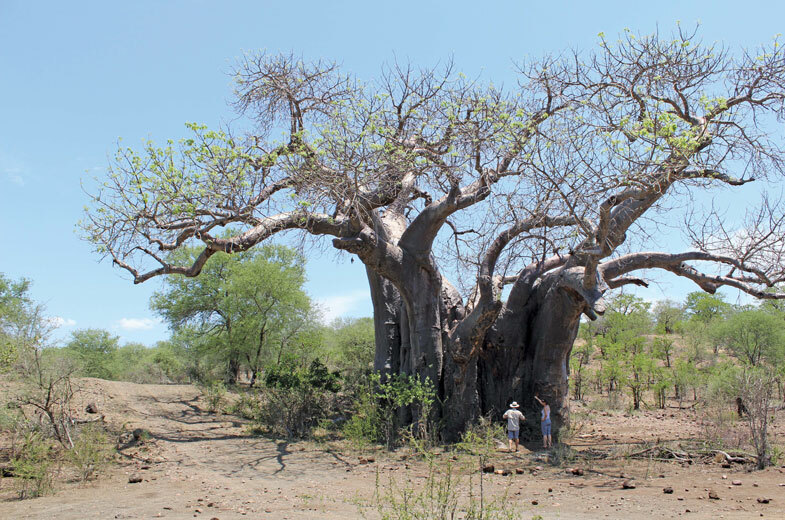 The diverse terrain of the region includes Mopane Woodlands, Fever Tree forests, Acacia thickets as well as some of the largest and oldest Baobab specimens. One of the few true wilderness areas left in South Africa, The Makuleke Contractual Park (Pafuri) is steeped in history and boasts vegetation so different to anything else within Kruger that one might be forgiven for thinking they were in central Africa! The large trees in this area are often almost 50% taller than most baobabs, and, scenically, the area is diverse: with stunning mountains, shady, deep gorges, forests of yellow-tinged fever trees, monolith baobabs, mopane woodland, and open savannah grassland. Scenery ranges from the beautiful, quietly-flowing Levuvhu River teeming with hippos and crocodiles, shaded by Nyala trees and fever tree forests, to the grand Lanner Gorge, palm-fringed wetlands and rocky outcrops with thousand-year-old baobab trees. The area is a favourite winter grazing ground for elephant from Mozambique, Zimbabwe and elsewhere in Kruger. Leopard love the thick bush environment and prey on the nyala and impala that feed close to the river. There is a large population of hippos and crocs at the confluence of the Limpopo and Luvuvhu rivers at Crooks’ Corner. Among the more unusual sightings in the Makuleke are the eland and Sharpe’s grysbok. The birding in the whole area is exceptional, with specialities being the Pel’s fishing-owl, black-throated wattle-eyed, orange-winged pytilia, African crowned eagle and racket-tailed roller.